Does the new year have you needing inspiration from multiple sources (to help you with direction in the industry)? 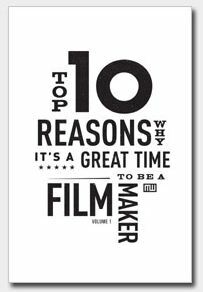 My publisher charged about 50 MWP authors to come up with 10 reasons it’s a great time to be a filmmaker and assembled them into an eBook. Rather than pages and pages of lists, the eBook is like a living room full of about 50 diverse authors who all take the idea “10 reasons…” and speak from their POV on the subject. Some of the many interpretations are bound to reach you at whatever stage you are in your career. Check it out on the MWP website (where I believe it’s free when you sign up for the MWP newsletter). You can also find it on Kindle. A nice, inspiring new year’s gift to yourself. What speaks to you in the eBook? I instigated the contest… to which there was a surprising winner! You’ll never look at a field full of daisies the same way again… I know I don’t! … and they really are relevant to a film career! Nothing compares to getting a full budget template to refer to and learn from! Thanks, Deke. And thanks to you for the great feedback I’ve received over the years! Here’s to more F-un, I-nspiration, L-ife and M-anagement to come! This F.I.L.M. 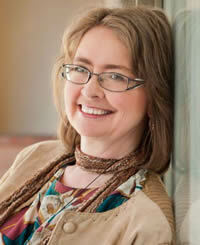 blog is also available on the “virtual porch” of Facebook. So, let’s build the online community there, but also let’s connect virtual life to real life! At the end of May, I’ll be in Toronto where I am planning a speaking/booksigning event (details are TBA). If... we gather a FB community there of over 200 by mid-May (when my trip starts), then I’ll give a free copy of my latest book “Film Production Management 101: Management & Coordination in a Digital Age” specially autographed to a random Toronto area FB fan at the “real porch” (the speaking event) in Toronto. So, it’s now over to you! See you on Facebook… and then in Toronto!